Once a product of science fiction literature and films, drones have become a reality in the modern world. While there are various regulations regarding where they can be used, the number of recreational enthusiasts is on the rise. If you count yourself among those, you will be interested in learning all about the varieties of drones that are available for purchase today. There are several factors that will influence your shopping experience. Considering these issues before you shop will help you as you peruse the options for sale. For instance, price is probably the biggest factor that will impact your choice of drones. Even those with a limited budget will need to expect to spend a fair amount investing in their drone. At the far end of the spectrum are state-of-the-art drones that are complete with many upgrades and technological goodies that will give you plenty to experiment with and explore. Most recreational enthusiasts will want to find a drone that is somewhere between bare bones and top of the line. 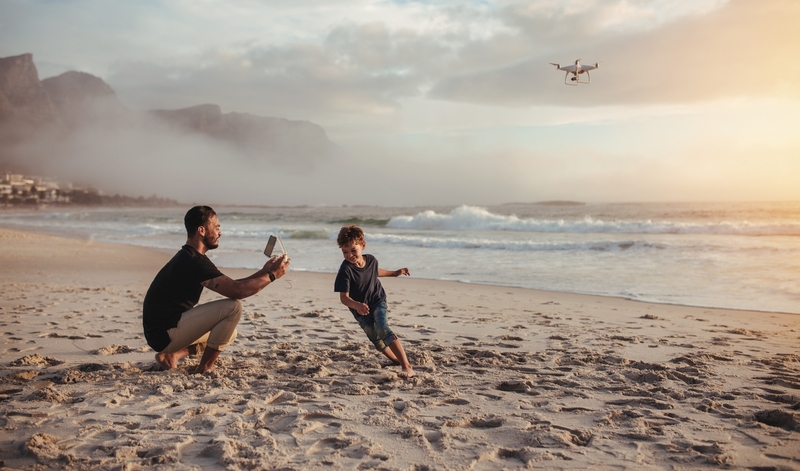 While investing a bit more cash into your drone might be challenging, doing so will allow you to choose a few options that are specifically important to you. This will improve the experience tremendously, making the fun last longer and providing a better overall experience. If you look at the return on your investment in terms of how long you can use and enjoy it, an upgraded model will often win out over a cheap one. Of course, you should make sure that you shop around carefully so that you don’t spend more money than you have to. However, you should always make certain to buy from a reputable source to avoid disappointments related to poor customer service or quality products. The varieties of drones that you can find include ones capable of taking video recordings. These can be great for recording family parties from a unique angle. However, you should only use this option with the consent of the folks being recorded. Another feature that you might be interested in is GPS. Addition equipment includes stabilizers and FPV birds with one FPV glasses. Of course, you can search the drones on the market for one, all or only some of these equipment additions based on your interests. Another way that you can sort out the various drones on the market is by range. While some drones can only be operated at close range, others are capable of traversing considerably longer distances. In between you will find drones with varying distance capabilities. The number of propellers is a good indicator of range, with more propellers indicating additional distance in most cases. The size of your drone is another consideration that should be addressed before you start shopping for one. For instance, if you have a limited amount of room for the drone and associated equipment, you should measure it to ensure you have sufficient room. The smallest drones are called nano drones and take a minimal amount of space. On the other hand, large drones will need to have a large dedicated space to ensure that you are able to properly store the item. While drones have not been around for a very long time, there is already a great deal of interest from hobby enthusiasts who enjoy the new tech. If you want to join the group or simply add to your current collection of drones, knowing how to differentiate between the types is essential. This information should make shopping around and purchasing a new drone much easier than it would have been.